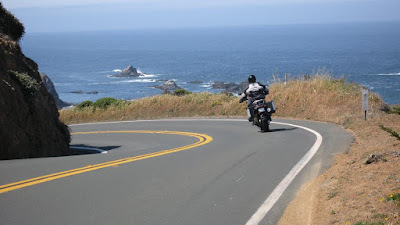 A fantastic road is going to perfect the motorcycle travel for biker singles and friends. And if you wish to discover more scenic views and more challenges, then just ride to the most challenging roads with a group of Harley motorcycle riders, to enjoy the breathtaking speed, the strong winds and the delight of challenges. The following 8 roads are ranked as the best ones for biker friends to experience riding style. To have a great biker dating with your biker girl or boy on those roads, you had better invite some veteran riders to ride on the road first before your dating. Located in Texas’s famed Hill Country. The Twisted Sisters are a group of great motorcycle roads which are Ranch Roads 335,336 and 337. So, it also known as The Three Sisters. The roads take bikers through a 100-mile loop of ranches, valleys and hills. It is said that there are 65 curves in just one 15-mile stretch. It is an 11-mile stretch of US Route 129 which is widely considered to be one of the best motorcycle roads in America. The road brings bikers through Great Smoky Mountains National Park. With more than 300 curves in just 11 miles, it is one of the greatest challenges for motorcycle riders. It stretches 43 miles from Tellico Plains to Robinville. Cherohala Skyway is a National Scenic Byway runs through both the Cherokee National Forest and the Nantahala National Forest, featuring a lot of fun sweepers. It is 469 miles in length and spans 29 Virginia and North Carolina counties alongside the Blue Ridge Mountains. The numerous sharp curves and elevation changes make the top speed at 45 mph. It is absolutely spectacular in fall. Beartooth Highway features a number of zigzags and switchbacks, as well as spectacular views. It will bring riders twist through rocky mountains, glaciers and wildflower-laden alpine meadows. It is typically open from mid-May to Mid-October, due to the thunderstorms and heavy winds. This road is widely considered as one of the favorites in the eyes of many bikers, because it has woods, mountains, twisty roads and ocean views. The 120 miles of the Pacific Coast Highway are built near the rugged cliffs around central California’s coastline. The road is 105 miles long and can take riders to ride through Shenandoah National Park from north to south. The speed limit is at 35 mph due to the traffic, curves and wildlife. The white-tailed deer, black bears and wild turkey can be frequently seen on the road. The Pig Trail is a 19-mile portion of Arkansas Highway 23, filled with awesome steep hills, dropoffs and switchbacks. It runs along the heavily wooded Boston Mountains, which provides riders more additional activities like white water rafting, kayaking and camping.